NOT A FEW Filipinos were quick to notice that the White House seems to be taking the same hardline against illegal narcotics that has drawn world attention to President Rodrigo Duterte’s bloody drug war. In a speech in Manchester, New Hampshire, a state hard hit by the opioid epidemic sweeping the US, President Donald Trump called on Monday for the imposition of the death penalty on drug traffickers. His death call to meet the opioid emergency that claims 115 American lives (mostly overdose victims) daily has set Filipinos asking if Trump has impliedly endorsed Duterte’s drive that has killed 4,000 to 15,000 (depending on who does the counting) suspected drug dealers and users. Regardless of Trump’s thoughts on Duterte’s style, the official answer to the speculative endorsement will be a “No” — especially now that the Philippine leader’s bloody record is being examined by the International Criminal Court over his vehement objections. The runaway opioids being chased by Trump are a class of addictive drugs, including prescription painkillers such as heroin, fentanyl, Percocet and OxyContin, some of them traced to foreign sources in the black market. Trump called on prosecutors to be harsher on drug dealers but did not call for legislation to expand application of the death penalty for federal drug crimes. > Some 2.4 million Americans are addicted to opioids. The drug-users count in the Philippines is 1.3 million. 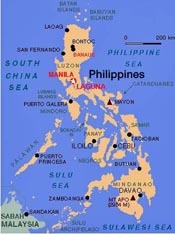 Population of the US is 327 million, about thrice that of the Philippines’ 105 million. > Capital punishment is authorized in the US in some murder cases, while there is totally no death penalty in the Philippines. Around 55 percent of Americans polled favor the death penalty for murder. > Drug-related deaths in the US are traced mostly to opioid overdose. In the Philippines, they are blamed on alleged extrajudicial killings (EJKs). > The US punitive crackdown is aimed at traffickers. In the Philippines, there is hardly any distinction between drug dealers and users, especially when they reportedly fight back (“nanlaban”). > The US regards the opioid crisis as a public health concern. The drug menace in the Philippines is approached more as a police problem. “The death penalty is authorized against a defendant who has directed a continuing criminal enterprise involving either large quantities of drugs, or if $20 million is generated from the enterprise in a one-year period. “In 1994 through the Federal Death Penalty Act, the availability of capital punishment was expanded to some 60 criminal offenses. Nearly all federal statutes providing for the death penalty do require a concomitant death. Espionage, treason and trafficking in large quantities of narcotics are exceptions to this rule; the death penalty can be imposed for these crimes without an accompanying fatality. “In practice, the government has not sought death for these kinds of offenses since the reintroduction of capital punishment into the federal criminal justice system in 1988. “But the president could seek to enforce existing law and give life to the death penalty for drug traffickers. Then, the Supreme Court might stop him. “In 2008, the Supreme Court ruled that use of the death penalty should be reserved for crimes that take the life of the victim. “In deciding whether punishment is cruel and unusual, in violation of the Eighth Amendment, the court has ‘looked to the evolving standards of decency that mark the progress of a maturing society.’ The Eighth Amendment requires that a capital sentencing scheme must restrict capital punishment to a narrow category of the most serious crimes, and offenders whose extreme culpability warrants execution. “As the law stands today, capital punishment appears limited by the court to murder or other crimes that result in the death of the victim. “The court also has imposed other limitations: Even where a death does result from a felony but the defendant was not the actual killer, the defendant must additionally be (1) a major participant, and (2) exhibit reckless indifference to human life, in order to be eligible for capital punishment. Although federal drug crimes feature numerous mandatory minimum sentences, a mandatory death sentence would also likely be unconstitutional, according to a 1976 Supreme Court case.